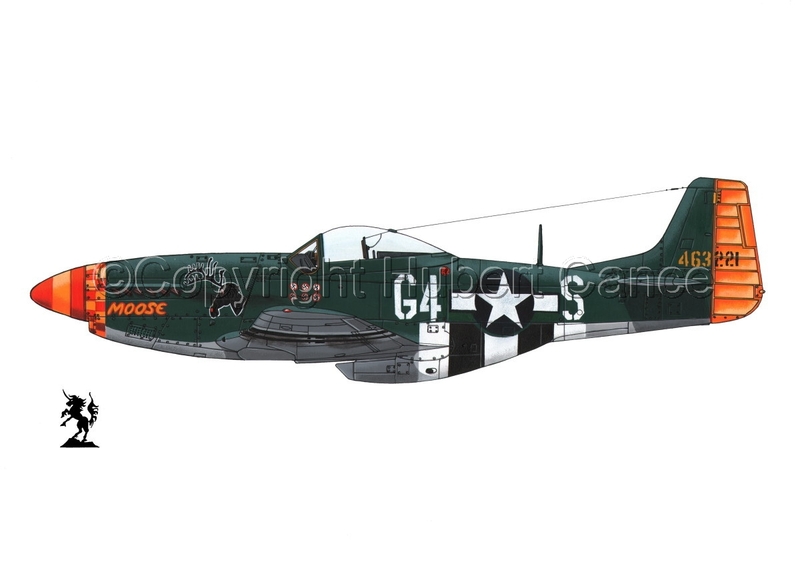 North American P-51D "Mustang", SNr.44-63221, G4*S "Moose", piloted by Lt.M.A. "Moose" Becraft, of the 362nd. Fighter Squadron, 357th. "Yoxford Boys" Fighter Group, 66th. Fighter Wing, 1st Bombardment Division, 8th. Fighter Command, 8th. Air Force, of the USAAC, at RAF Leiston, in UK, 1944. 5" x 7"9" x 12.75"13" x 18.5"17" x 24"21" x 29.75"22.75" x 32.25"